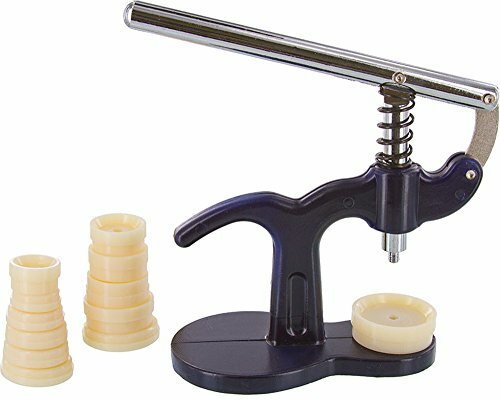 This 13 piece professional quality watch back press set includes: 1pc aluminum press, 6pc cupped nylon dies, 6pc flat nylon dies. Double sided dies: 40/42, 36/38, 33/34, 31/32, 28/30, & 24/26. It is blue.